Everyone knows the Internet is not just a place for fun. There are a lot of sinister sides to online activity, even with seemingly innocent names. One of the biggest trends in recent months has been the invention of different online challenges. People are asked to perform certain tasks and then post pictures or videos online to prove they were part of the challenge. On the positive side, you have things like the Ice Bucket Challenge, raising money for Alzheimer’s disease. But on the other, you have horrible games like the Blue Whale Challenge; a deadly game that has been linked with numerous suicides around the world. The blue whale challenge is thought to have originated in Russia. The so-called game is one in which the person ‘playing’ has to perform 50 different tasks and send photos to prove it online. The final task, however, is jumping in front of a train or killing yourself in any other mean. All the other tasks on the list are also sinister and often involve harming yourself. The game can create a sort of trap for the vulnerable teenager because it starts playing on things like self-harm and lack of sleep. It can be difficult for the child to find a way to stop, as you are constantly demanded to watch scary and psychedelic videos and wake up – this kind of sleep-deprivation and audio-visual stimulation can lead the person down a dangerous path. In the end, a vulnerable person might well choose to perform the final task – suicide. 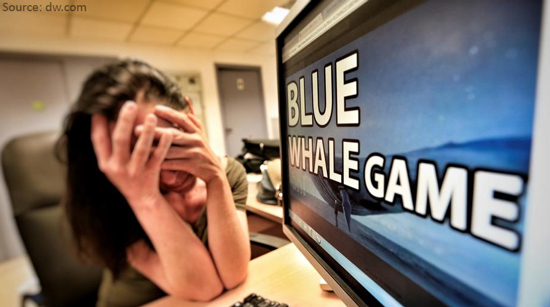 While it might sound hard to believe anyone would take a game like that seriously, numerous suicides have been linked with the blue whale challenge trap in around the world. Part of it is down to intimidation. The game’s ‘curator’ says that they have information about you and stopping during the game is, therefore, impossible without some serious consequences. What is being done to stop the challenge? Social media platforms are trying to tackle the problem. A lot of content using popular hashtags associated with the challenge have been taken down. They’ve even posted warnings on accounts and schools have been part of a campaign to inform parents about the dangers of the challenge. However, it is still easy to find the challenge online and even to download apps to play it. Governments have also tried to ban certain websites and social media profiles linked to the challenge. However, this is extremely difficult as the challenge is now widespread. Of course, since the game requires ‘curator’ contact, it can be a good solution to slowing things down. Nonetheless, the key to stopping the horrible challenge is spreading awareness and helping those who are in the middle of ‘playing’ the game to stop. How to get out of the blue whale challenge trap? Since the game targets vulnerable and suicidal people, it’s important to keep your eyes open when it comes to your friends, children and loved ones. If you find someone clearly depressed and lovely, start by striking a conversation and offering them different means of communicating their feelings. The game starts by carving a ‘yes’ on one’s arm, so you need to be on the lookout for cuts. Another sign is psychedelic music or odd sleeping hours. You need to pay attention to these and start a conversation with the person about what they are going through. Parents who are worried could use different parental tools on social media, the Internet and computer use in general. You can find software from brands like Norton. 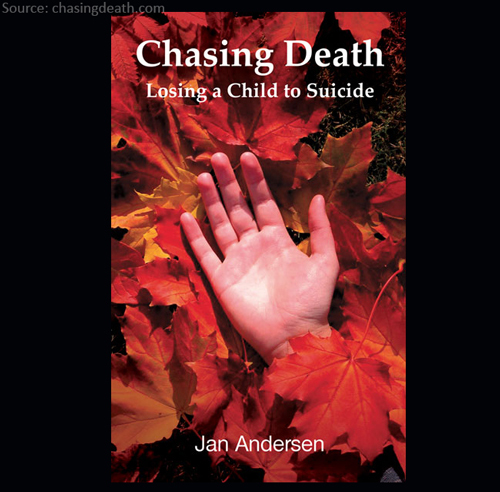 If you are raising children and you notice them having suicidal tendencies, it can be helpful to read books like A Parent’s Guide for Suicidal and Depressed Teens and Chasing Death. Both books are available through Waterstones and these can help you better understand what the child is going through right now and find different ways to help him or her. On the other hand, if you are playing the game, you need to talk to someone about it. Don’t be afraid to talk to someone you trust about your feelings – you don’t need to feel alone and no matter what the ‘curator of the game’ says, you won’t get hurt. You can find suicide hotlines helpful to talk to. It’s also important to understand how to use social media in terms of sharing personal information. The ‘curators’ tend to use online information to their advantage and often scare the ‘players’ by knowing this type of sensitive information. Therefore, keeping your personal data safe is key to being able to step out without fear. You want to use anti-virus software on your gadgets – find good options from Kaspersky and stop sharing personal details on public profiles and with people you don’t know. To battle problematic games like this, adults need to take more responsibility and keep a close eye on the young people around them. We should all listen to what people around us are saying and feeling and offer a helping hand if we someone might be in trouble.